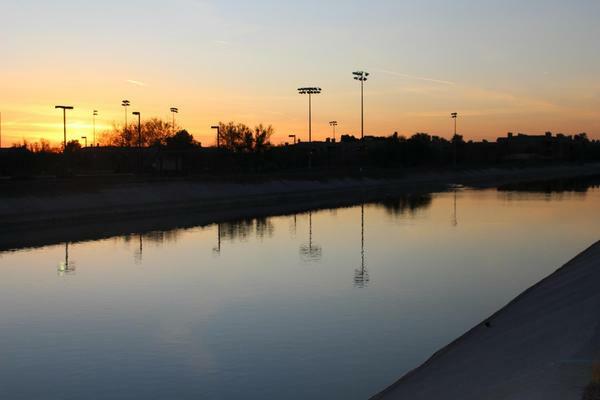 A Central Arizona Project canal moves the Colorado River's water through Scottsdale, Arizona. And as Arizona tries again, the rest of the Colorado River basin is watching intently. They need Arizona to act in order to finalize the region-wide Drought Contingency Plan. Almost everyone agrees getting a DCP is vital and would give users more flexibility in preparing for drier times. A brief recap: Arizona Gov. Doug Ducey held a series of meetings last year on water and some criticized the secrecy of the meetings. Secret or not, they ended in a stalemate between the state’s Department of Water Resources and the Central Arizona Project, the agency that brings river water to the Phoenix and Tucson areas. 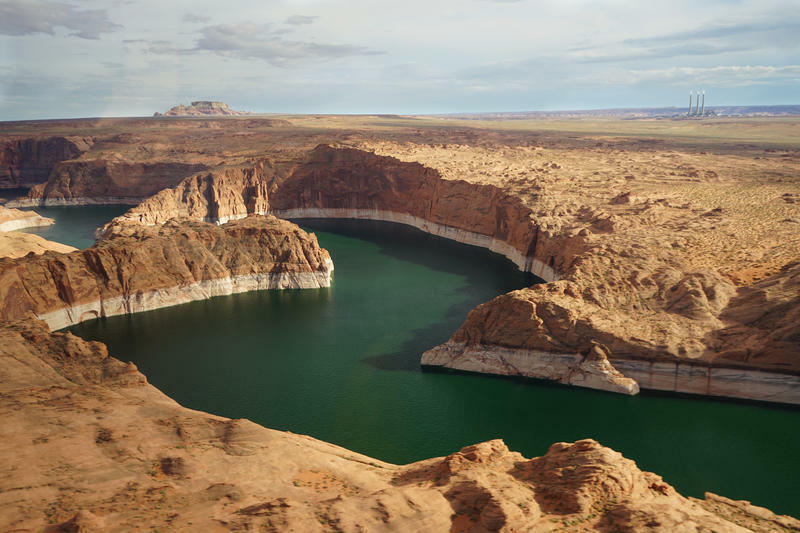 This spring a pair of impatient, angry letters came in from the Upper Basin, criticizing the state’s lack of progress and a CAP strategy to maximize water discharges from Lake Powell to Lake Mead. Another setback came when the Arizona legislature produced no meaningful new water laws as it completed its session in early May. Progress on Arizona’s drought plan had frozen. In a joint interview, Tom Buschatzke, the director of Arizona’s Department of Water Resources, and Ted Cooke, the general manager of the Central Arizona Water Conservation District, said they have been talking for the past several weeks. Federal officials will visit Tempe next week for a briefing on the Colorado River. The event features a keynote speech from U.S. Reclamation Commissioner Brenda Burman, who in late May urged the Lower Basin to finish DCP. Having Burman kick off a public process will serve to remind people, Buschatzke said, that Arizona has been better off when it avoid lawsuits. “When the state’s moved with the federal government into that paradigm, away from ‘let’s have a bunch of big fights and litigation,’ we better controlled our own destiny,” he said. Fights and litigation would only delay a coordinated response to continued high temperatures and slipping water levels in Lake Mead and Lake Powell. “The situation in Arizona is a topic of a lot of discussion in the upper basin,” said Jim Lochhead, CEO of Denver Water. He said Arizona’s internal conflict has led to political problems in Colorado. “It puts pressure on Denver Water as a municipal utility, taking water out of the Colorado River, and it exacerbates historic animosities and relationships between Western Colorado and Denver Water,” Lochhead said. Lochhead sent a letter to the Central Arizona Project in April threatening to pull out of a program to conserve water unless the lower basin made real progress on its plan. Shortage is so imminent, California has even agreed to take reductions -- something the current rules don’t require it to do. “And you have to ask yourself, given the position that you are in, why would you let that opportunity go by?” said Pat Mulroy, a longtime water leader in Nevada who is now at the University of Nevada Las Vegas. But before it can sign a Lower Basin plan, Arizona needs its own internal deal. One sticky subject is what to do about farmers in central Arizona, who would take a big hit under the current rules. “How do we find a way to make things less painful for them? Not completely painless, but less painful,” Cooke said. “We will work that out,” Cooke said. To get to “yes,” Buschatzke and Cooke agreed they’ll have to avoid letting side issues divert the talks. By rebooting negotiations, Arizona gets another chance at writing something it can live with. Bret Jaspers reports for KJZZ in Phoenix. This story is part of Elemental: Covering Sustainability, a new multimedia collaboration between public radio and TV stations in the West, and part of a project covering the Colorado River produced by KUNC in northern Colorado.